Students at Parker follow the principles of all essential schools, including the idea that a teacher’s role is to coach students on how to learn, and therefore, learn how to ultimately teach themselves. This method of guidance lends itself to the implementation of UWYV at Parker, where young people are encouraged to take the reins of their ideas and bring them to fruition with minimal adult interference. Parker Venture Teams understand the concepts of project-based and sustainable endeavors, as they are incorporated into their learning models as early as 7th grade. This past year, Ventures both localized and globalized their change-making efforts, from assisting elementary schools in the Dominican Republic and small communities in Africa to sustaining nearby community gardens and creating publications devoted to Parker-related news. This Venture team teaches team building skills to inner-city elementary and middle school girls at Girls Inc. through the game and culture of Ultimate Frisbee. Through several meeting sessions throughout the year, and through playing Ultimate Frisbee, the girls develop self-confidence, self-awareness and team building skills. Project Smile Youth Venture gives children in the Fitchburg Public School System with special needs a place to have fun, meet others and learn. The objective is to open up the opportunities for special needs children to experience the world as all children should, by offering once-a-month activities and events. Some of these will include visits to area museums and sports games as well as put on special seasonal and holiday events. 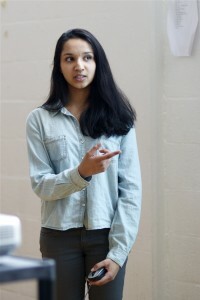 Lowell Girls Group Venture Team works with eighth-grade girls to create positive and empowering forum discussions about the stresses and pressures pertaining to women and girls in our culture today. 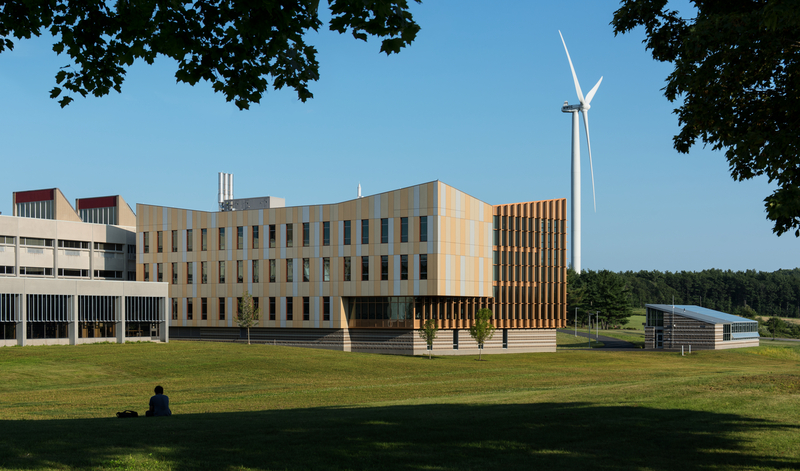 The Prospect Hill Project is a pan-ideological, non-partisan open forum for students and other interested individuals in the community to educate one another and themselves on issues that they feel need to be addressed. This Team will hold a book club which will encourage young and old to get more involved in reading by making visits to schools, reading to children and adults. The club will also hold book discussion groups and used book sales. This team is made up of three young women who are enthusiastic and passionate about educating their community about genocide in Darfur and worldwide. One of the mechanisms they have designed to educate their peers and members of their community on this issue is to raise funds for anti-genocide causes. They have three large events planned for this year. The first event was a “community night”, held at O’ Naturals, a local restaurant. The girls raised more than $500 selling shirts and bracelets and will also receive a percentage of the restaurant’s proceeds. Their other two planned events are an all-school movie night and a benefit concert. This venture raises the awareness of puppy mills and works to fight against the selling of puppies in mall pet shops. Due to their love of music and their growing disappointment in school districts for removing arts from the curriculum, a group of students have started an after-school program for local elementary school youth, who are interested in learning about music. Working with a local teacher the students created lesson plans that will teach students about beats and rhythms, as well as the different families of instruments. They will hold interactive workshops once a week and to raise funds they sold t-shirts and candy at the Shirley Ho-Down in June, as well as held open mic nights at the Bull Run in Shirley where bands and artists from around the area and from their school come and play music for free. A percentage of their fundraising will be sent to VH1’s Save the Music Foundation in an effort to bring back music appreciation to schools who have cut Arts programming. Members of Health Awareness recognize the obesity epidemic that has swept across America, as well as the detrimental health habits of their own peers, and have decided to do something about it. Venturers from Health Awareness would like to inspire others to live healthier lives, starting with their own community. For instance, they are planning to organize a 5K walk/run, as well as promote healthier meal options within their school lunch program. In the future, this Venture team would like to expand this message to other schools and communities, particularly evolving other school lunch programs, supporting healthier alternatives. 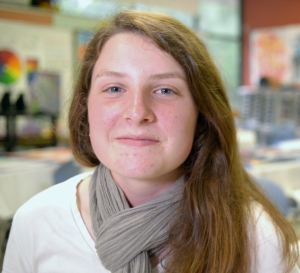 For a service project, Venturer Kathryn met a family of refugees from Iraq who loved art, but were very poor and had no access to art supplies. She decided to get them art supplies, and by doing art with them, she witnessed them undergo a profound change in character- from shy and sad to bold and glowing with delight. Kathryn teamed up with her friend Jocelyn, who has an incredible passion for teaching and the creative arts, The two Venturers started Art4All, a Venture Team dedicated to providing access to art supplies to refugee families, and through directly volunteering with refugee children, teaching art, and breaking the cultural and language barrier that can be intimidating. By selling art kits around their school and hosting art sales and galas, Art4All will continue to make previously inaccessible opportunities readily available to all. Sam and Allie have been passionate painters for years, and intend to keep their passion alive through the Murals with Purpose Venture Team. Believing in the power of art and creative signage to have the ability to change the way people feel and attract customers, Murals with Purpose will offer their skills as painters working with non-profit organizations, community-serving agencies, and free health clinics to make their walls and directional signs more visually and aesthetically pleasing. They will hold art sales to generate future income, and offer their services to for-profit businesses that could then act as ‘surrogate sponsors’, providing the resources to give other organizations the benefits of beautiful art. When Mike, a senior at Parker, first met 8th grader Andre during a peer mentoring group at their school, they bonded quickly over a mutual love of the outdoors, agriculture, and gardening. Together, they formed the Parker Greenhouse Venture Team. Mike noticed that the Horticulture class used a cart for their classroom resources, while the Physics lab was fully equipped. Mike and Andre have been working together to build a 26×48’ greenhouse to benefit the Parker community. The greenhouse will help provide vegetables for school lunches and offer additional classroom space and resources, but also benefit the community with produce donations to local food pantries. Simple Treasures aims to establish a relationship with and to volunteer at a local children’s and women’s homeless shelter, providing hands-on crafts and playing with the kids. Zayna, Ranya and Adam Basma grew up in a home passionate about soccer – it was no surprise that the siblings chose the sport as their focus for their Venture, Goals for Nets. How the team uses soccer as a mechanism to help both their local and worldwide communities is a refreshingly new concept that has never been done before in the district. Goals for Nets plans to host a highly affordable, one-week soccer clinic in the summer for children ages 7-11. Proceeds from the clinic will go to Nothing But Nets, a global, grassroots campaign to raise awareness and funding to fight malaria, a leading cause of death among children in Africa. Thanks to the Basma siblings, not only are local families able to send their children to an inexpensive and fun activity in the summer, but communities across the globe will be that much more protected against a highly fatal disease. The members of Parker Press noticed their school was missing the voice of the student body in its written publications and decided to act on it by creating a newspaper, The Essential Word. Their paper includes articles, artwork and advice columns all written by those who attend the Francis W. Parker Charter Essential School. To sustain their publication, Parker Press has reserved pages of advertising slots in their paper that local businesses, organizations and community members have eagerly paid to fill. 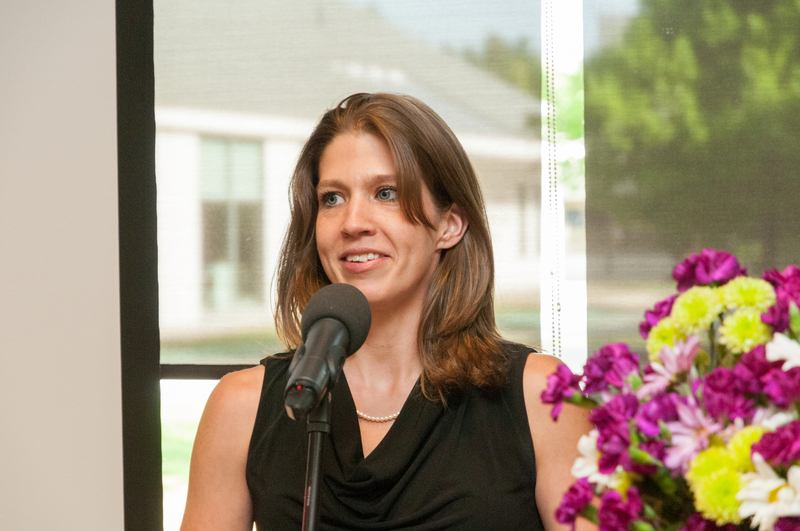 Through The Essential Word, Parker Press encourages its staff to utilize valuable marketing, management and communication skills beyond what they learn in a classroom setting. Gian Carlo had a humbling experience when visiting a school in the Dominican Republic – he realized that not every child had the means to afford school necessities, including clothing, pens, pencils, food and notebooks. Based on this visit, he decided to use his silk-screening abilities to make beautiful t-shirts to sell, with proceeds going straight to families in the Dominican Republic that want to send their children to school but cannot afford the materials. The shirts, decorated with various tree designs, show that even with rocky foundations, life can flourish and anything is possible with the right support. As part of his Eagle Scout Service Project, Isaac had to demonstrate leadership of others while performing a project for the benefit of his community. In order to do so, this young person saw no better opportunity than to form a Venture Team whose mission was to create a deer-and-rabbit-proof fence to surround a community garden in his hometown. 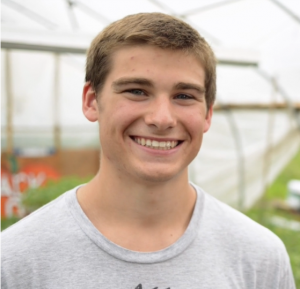 With the help of town volunteers and fellow students, Isaac successfully led a crew to complete his project and has prevented a number of hungry critters from ransacking the community’s homegrown harvest. The Pink Ladies of Parker Charter are determined to do their part in the battle against breast cancer. Not only do they help get their fellow students involved in doing what they can to address the issue, but they lead the charge working hand in hand with the Relay for Life. Their fundraising activities include sales of pink items including wristbands and baked goods. After hearing about all of the great work that Last Hope K9 Rescue, an animal shelter in Boston, does for abused animals, the girls of Sponsor A Dog knew they had to help out in any way possible. Through their Venture, they will raise funds to help buy supplies such as new beds, coats, leashes, collars, and food to be sent to the shelter to help the dogs that are in such need. While Parker Charter once had a well-sustained recycling program, it has since lost attention with very few students understanding that there is even a recycling program at the school. 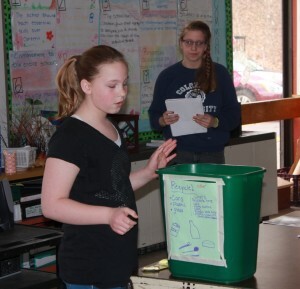 The Venturers of Parker Green have taken it upon themselves to revitalize the recycling program, helping to raise awareness in the school on the how and why of recycling, as well as improve the school’s access to recycling bins. They have also started the process to help create a compost program at the school to make the school even more green. Everyday Essentials of Parker Charter are looking forward to helping families in need who are moving into new homes with the support of the Acton Housing Authority. They plan to gather everyday needs through donations and provide them to the families. It was no surprise that the members of Education Innovation chose education as the cause for their Venture since they want to someday become educators themselves. Seeing all of the support and opportunities that they receive at Parker Charter, the team wishes students across the nation could have the same opportunities afforded Parker students. After identifying the School district of Yazoo County in Mississippi as one of the most impoverished districts in the nation, the Venturers decided to raise funds and awareness to the disparity of educational resources and will be sending basic school supplies to this school district. After recalling personal stories of family members and friends who as military veterans, struggled after returning from service, the students of Green and Black Helping Back decided to do something to help homeless veterans. Their efforts will support The New England Center for Homeless Veterans (NECHV), a shelter in Boston. They will contribute items such as clothing, food, and other necessities to our deserving veterans to help them in their time of need. Led by two socially-conscious students from Parker Charter, the project-based Team 2 HOPE Venture is an effort in awareness and fundraising to support two separate globally-focused causes. Helping each other achieve their goals, Jacky will be visiting an orphanage in the Philippines providing much-needed supplies and Nivita will be raising money to support the construction of kitchens in India to provide healthy meals for families in need. These inspirational young leaders have worked tirelessly to hold their major fundraiser, a zombie-themed skating night at Roll-On America, in addition to multiple other fundraising efforts. A young student’s sadness over her mother’s hair loss due to illness inspired a community to come together. 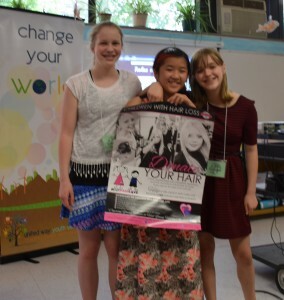 The Venture team, The Rapunzel Project, was formed to raise funds for the non-profit organization – “Children with Hair Loss” (CWHL). CWHL’s mission and goals are to never charge a family for replacement human hair at a time when they need the most help. 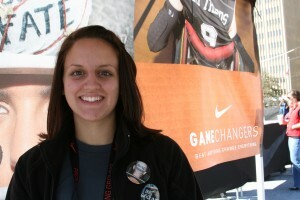 The team plans to raise funds and donated hair through car washes and “Cut-a-Thon” events. 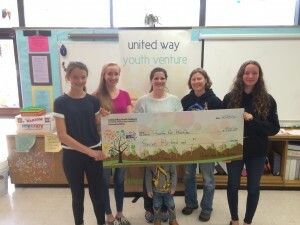 The five young students of the United Way Venture Team Paws for a Cause knew they had to do something when they heard that the Sweet Pea Animal Shelter in Paxton was recently devastated by a fire that destroyed much of the shelter and killed several animals. The students will be raising funds for blankets, beds, food, and toys for the shelter as well as help raise money to ensure the shelter can be rebuilt to its previous condition. Two 9th grade young women at the Francis W. Parker Charter School in Devens MA recently launched a venture named I Am Aware which addresses the need to spread awareness and end the stigmas of mental illness in their community. They plan to host events and presentations regarding mental illness, especially in young people, at various community schools and venues around the region. Heart for Hoofbeats, led by two avid equestrians, is hoping to end the problem of ongoing abuse and slaughter of horses that could easily live healthy fruitful lives. Working closely with the MSPCA-Angell’s Nevin Farm, these inspiring Parker Charter students will raise funds to purchase blankets, feed and much needed supplies for these mistreated animals. They hope that their efforts will soon build up to a point where they can have the funds to save the lives of many of these horses. Having seen the effect that MS can have on a person through the experiences of a relative, the members of Trivia for a Cause knew that this is an important cause to take on for their Venture. With it being their senior year, the students decided to put together one big trivia night fundraiser as a means to raise money for the National MS Society while also raising awareness of the disease by having some of the trivia questions be about MS.
As athletes themselves, the members of the SFA know how important being a part of the team can be to one’s mental and physical health and know that not everyone has this chance to be a part of the team. Their Venture mission is to raise money for local nonprofits and programs that help students with special needs and disabilities get to play sports on a balanced playing field using special equipment and tournaments that are based upon their needs. It is their hopes that they won’t only help those in need, but they will also raise awareness within their community for able-bodied students to be more open in helping all players join their games. United by their desire to help the elderly, the members of Love Through the Generations are taking this passion to the next level in order to help local elderly in need. Through their research, the group found that one of the areas they can best help is to get clothing and hygiene supplies for senior citizens and local nursing homes who often don’t have the time, money, or mental capacity to receive these needed items. They hope that their drives and fundraisers will not only make a difference for the elders they help but raise awareness to the issue for other students as well. Following their passion for careers in the field of animation and graphic design, the boys of the Animation Club decided to start up a new Venture to help get more students excited about the field and learn the skills needed to be successful. This Team will establish a first of its kind animation club for all students of Parker to join, as well as bring in new equipment and skill-based workshops to develop the next generation of animators and graphic designers. Across the state, the homeless population has faced discriminatory policies to keep them away from using many public and private services, including public libraries. After learning about this issue through a class project, and knowing the power that reading can have, this Team decided to take on the issue by helping to make sure homeless have access to the goods and services they know. Partnering with the nonprofit Victory Programs in Boston, Help for the Homeless is hosting fundraisers and book/goods drives across North Central Massachusetts as a means to help donate to those in need. Seventh grader Veronica and ninth grader Kate learned about an organization in Texas called the Abandoned Pet Project. Abandoned Pet Project is dedicated to providing the funding to veterinarians for abandoned, abused, and homeless pets so they can live happy, healthy lives in loving homes. These Venturers are drawn to this organization because they appreciate that they help all pets, not just cats and dogs. They fundraise by holding Art Nights. Color for Kenya is dedicated to providing school supplies to Big Picture Learning schools in Kenya, Africa. They help the students who may not be able to afford higher education in Kenya by giving scholarships to aid in reducing the costs. The inspiration behind this project is that the two girls on the Team have realized how grateful they are that they are fortunate to be able to have a good education and they want to help other students have the same opportunity.